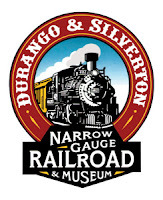 Durango & Silverton Narrow Gauge Railroad had to shorten its route today after high water and debris--mostly mud--from rains made a mess of things in the Animas River canyon. 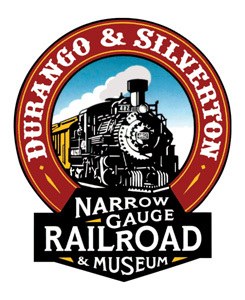 Tuesday's trips had already made it to Silverton when the mudflows occurred, tying up the track and forcing at least two trains to return to Silverton and wait for buses to take them from there back to Durango via US 550. Butch Knowlton, director of La Plata County's Office of Emergency Management, said train officials reported a "sizable depth of material over the tracks." Train employees also reported a mudslide that briefly blocked the flow of the Animas River. He estimated the slide occurred about 2.8 miles north of the La Plata-San Juan county line. "To move that much material, it had to be a large amount of precipitation - a heavy downpour in a concentrated area," he said. Trips to Silverton today were canceled, with substitute service to Cascade Canyon wye offered, as with their winter train, which is officially considered a shortened route. The National Weather Service is forecasting more local downpours for the area north of Durango, its possible that the service disruption and resulting clean-up might be prolonged by today's weather. Because most of the length of D&SNG railroad is within a canyon, rainstorms that wouldn't be a significant problem out on the plains can cause massive washouts with little warning before it actually happens, thus the term "flash flood." It's possible to have blue sky where you are and still be in danger, simply because of the topography you're near. It's no wonder D&amp;amp;SNG staff exercise such caution, running scout speeders before (and after) the trains, one of which prevented a nasty surprise yesterday. Washouts in the canyon predate "the Silverton" train, with Colorado Railroad Museum founder Robert W. Richardson writing about a recent major washout that halted mixed trains for two weeks in the November 1947 issue of Trains Magazine. More recent washouts, such as the one in 1970, had Rio Grande management contemplating selling the line. Eventually, they did sell, but under much more favorable conditions than a washed out future. Here's hoping the clouds miss the canyon for the next few days! Thanks to Eric H. for the tip!